Our Grand Deluxe Double Bath rooms all benefit from a balcony overlooking our landscape gardens which offers lots of space with hospitality and tranquility. Our Deluxe Double rooms all benefit from a balcony overlooking our landscape gardens which offers lots of space with hospitality and tranquility. Our Luxury Grand Deluxe Rooms come with a king size bed and a single bed and are 36sqm and come with a bathroom, garden view, air conditioning, WI-FI, bathrobes, hairdryer, satellite TV and a balcony overlooking our beautiful lush garden. Our Luxury Deluxe Twin come with a king size bed and a single bed and are 36sqm and come with a bathroom, garden view, air conditioning, WI-FI, bathrobes, hairdryer, satellite TV and a balcony overlooking our beautiful lush garden. Our Deluxe Twin rooms all benefit from a balcony overlooking our landscape gardens which offers lots of space with hospitality and tranquility. Our suite room comes with a full bathroom, kitchen area, air conditioning, mini bar, lounge area and balcony overlooking the grounds. 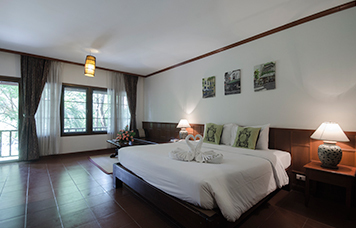 Our Grand Superior Rooms are 24sqm and come with a bathroom, garden view, air conditioning, WI-F, hairdryer and satellite.